When you go to visit someone for either personal or business reasons, your host will, depending on the weather, politely ask and try to make sure that you do not track anything in from the outside. Yet in the case of a job search, this is exactly want you want to do but in the entirely virtual sense by focusing the attention of prospective employers upon your tracks across the web. Hence, your online digital footprint informs them that you fully understand how to create meaningful content and a genuine presence, and your facility with web technology. I first became aware of this over twenty years ago. A friend told me a story about something that he did quite spontaneously during a job interview. This incident and its outcome were strikingly clever back then and its lesson still rings true today. He had gone for an interview at an Internet startup. Despite his impeccable credentials and accomplishments, he sensed that he was getting nowhere with the interviewer. At the end of their discussion, he thought he had nothing to lose and offered to show the interviewer his own “fan web page” for The Rolling Stones. The interviewer was stunned that he even knew how to create a web page, something that unheard of at that time by anyone interviewing for this type of position. The interviewer immediately called in some of his colleagues to see this. To borrow a line from Mick and Keith, you can’t always get what you want, but … my friend was offered the job on the spot. He had creatively and completely distinguished himself from all of the other highly qualified candidates by demonstrating that he understood and could apply the latest technology at the core of the company’s business. This was the first instance I was ever aware of where someone had successfully created and introduced his own unique online digital footprint into a job search. What was a novelty way back then has become nearly a necessity in many fields in today’s highly competitive job market. We first visited this topic in the March 5, 2015 Subway Fold post entitled Does Being on Law Review or Effective Blogging and Networking Provide Law Students with Better Employment Prospects?. The latest report on this trend was an insightful and instructive post in the February 2, 2016 edition of Knowledge@Wharton entitled Job Hunting? Why You Need a Strong Online Footprint (no author is credited). I highly recommend reading this in its entirety. I will summarize, annotate, and posed some of my own questions on making job seekers more of a, well, shoe-in during their searches. The conventional wisdom for today’s typical job searcher is to have a well-crafted resume and cover letter, and to have nothing questionable appear when a prospective employer Googles you. This has evolved further to the point where “establishing a strong and compelling online presence” is often required to land a first interview. Employers are looking for candidates who have developed a respectable online presence, particularly in their relevant “professional community”. Monica McGrath, formerly the Vice Dean of Education at Wharton, is currently at work on “renewing her consulting” business. She has been surprised along the way by the number of inquiries by potential clients concerning whether she has “built a presence on blogs”. Specifically, they have been interested in determining whether, beyond merely a LinkedIn profile, whether she has developed a unique and professional “voice” as an expert. Samantha Wallace, a recruiter at Korn Ferry Futurestep, believes that if a candidate’s digital footprint is not evident in an online network of importance to a client, the candidate might be removed from consideration. Such exclusion might occur when it significantly matters that a candidate has established a digital presence relevant to the job opportunity. Peter Capelli, the Director of Wharton’s Center for Human Resources, find this a “remarkable shift” from prior times when executives were told to avoid the distractions of activities away from their jobs. While the same employer might still discourage this, they are nonetheless now expecting it in new candidates. More than one-third of prospective employers are disinclined to grant an interview for a candidate for whom no online data can be found. Greater than 50% use social media to research candidates. 56% checked for a relevant digital footprint. 37% researched “what others were” posting about job seekers. One-third of hiring managers found information online that resulted in extending a job offer. Furthermore, some candidates are being asked for their user credentials for their social media accounts because employers believe this can lead them to “a deeper layer of comments” and other data. Privacy advocates are understandably concerned about this. As of 2015, nine states have passed legislation preventing such requests in order to “get or keep a job”. This fundamental change in the recruiting process has forces employees and their prospective hires alike to examine their roles. Wharton management professor Nancy Rothbard believes that issues of privacy concern “society in general”, not limited only to employers requesting access to someone’s Facebook account. Rather, companies like Google are aware of “almost everything about you”, and the breadth of anyone’s digital trail online is tremendous. She thinks that the “people analytics movement” attempts to gather and intuit the vast stores of information about individuals, thus presenting a privacy issue here that has yet to be addressed in the job market. The popular news site Buzzfeed recently posted an opening for a Social Media Strategist. The online application asked for candidates’ resume and links to social media accounts or their blogs. (Click on the preceding link and this can be seen under “To Apply”.) Thus, all of the applicants’ digital footprints are essential to the job because, in turn “developing a digital footprint is the job”. But should the same be true for other positions and businesses? According to Jon Bische, the CEO of the recruiting platform firm Entelo, there is some room here depending on the circumstances and nature of the job, but in many fields it is “reasonable to expect some digital presence”. For example, in searching for an engineer or designer, there are now professional networks that have become a “community of record” for a field, and other sites where their professional coding and designs can be assessed. He believes that doing so “gets close to someone’s abilities”. We are likely still in the early stages of determining how to distinguish oneself online as an expert in their field. Ms. Wallace thinks defining this is still “ambiguous” since it is the individual himself or herself who is creating their own digital footprint and thus they will intentionally “find the connections to promote themselves” as experts. Google yourself to make certain the top links “are professional and up to date”. Take steps to make any corrections to insure their accuracy. Establish profiles on sites and among networks within your field. 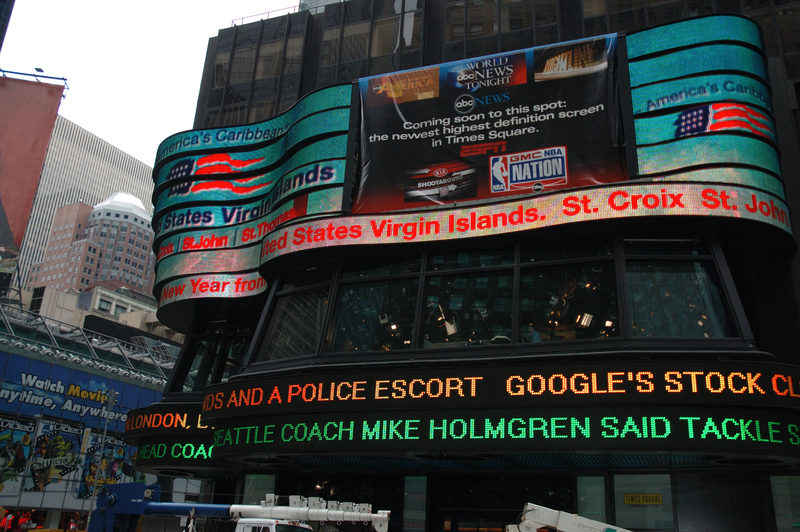 Make sure that your information is “presented consistently” across these online venues. “Generational factors” also influence the nature and breadth of someone’s digital footprint. This is particularly so for Millennials, the global demographic group including people born between the early 1980s and the early 2000s. They are growing significantly in the population and work force, and will have digital footprints that present “a different sense of self than their elders”. Candidate B who attended a more mid-level university but she has strategically built a very robust online presence and respectable reputation across peer sites and forums? What are the possible offsets and equivalents between these two types of hypothetical applicants? Might consideration of these factors also potentially create some unanticipated form(s) of employment discrimination? Producing a web metrics summary about the numbers of visitors and volumes of hits on specific content? Applying principles of content strategy and SEO ranking to boost traffic numbers? Engaging a professional to do implement these strategies or might that be gaming the system a too much? It is a simple and straight-forward basic business concept in any area of commerce: Do not become too overly reliant upon a single customer or supplier. Rather, try to build a diversified portfolio of business relationships to diligently avoid this possibility and, at the same time, assist in developing potential new business. Starting in May 2015, Facebook instituted certain limits upon access to the valuable data about its 1.5 billion user base¹ to commercial and non-commercial third parties. This has caused serious disruption and even the end of operations for some of them who had so heavily depended on the social media giant’s data flow. Let’s see what happened. This story was reported in a very informative and instructive article in the September 22, 2015 edition of The Wall Street Journal entitled Facebook’s Restrictions on User Data Cast a Long Shadow by Deepa Seetharaman and Elizabeth Dwoskin. (Subscription required.) If you have access to the WSJ.com, I highly recommend reading in its entirety. I will summarize and annotate it, and then pose some of my own third-party questions. This change in Facebook’s policy has resulted in “dozen of startups” closing, changing their approach or being bought out. This has also affected political data consultants and independent researchers. This is a significant shift in Facebook’s approach to sharing “one of the world’s richest sources of information on human relationships”. Dating back to 2007, CEO Mark Zuckerberg opened to access to Facebook’s “social graph” to outsiders. This included data points, among many others, about users’ friends, interests and “likes“. However, the company recently changed this strategy due to users’ concerns about their data being shared with third parties without any notice. A spokeswoman from the company stated this is now being done in manner that is “more privacy protective”. This change has been implemented to thus give greater control to their user base. Examples of the applications that developers have built upon this data include requests to have friends join games, vote, and highlight a mutual friend of two people on a date. The reduction or loss of this data flow from Facebook will affect these and numerous other services previously dependent on it. As well, privacy experts have expressed their concern that this change might result in “more objectionable” data-mining practices. Others view these new limits are a result of the company’s expansion and “emergence as the world’s largest social network”. 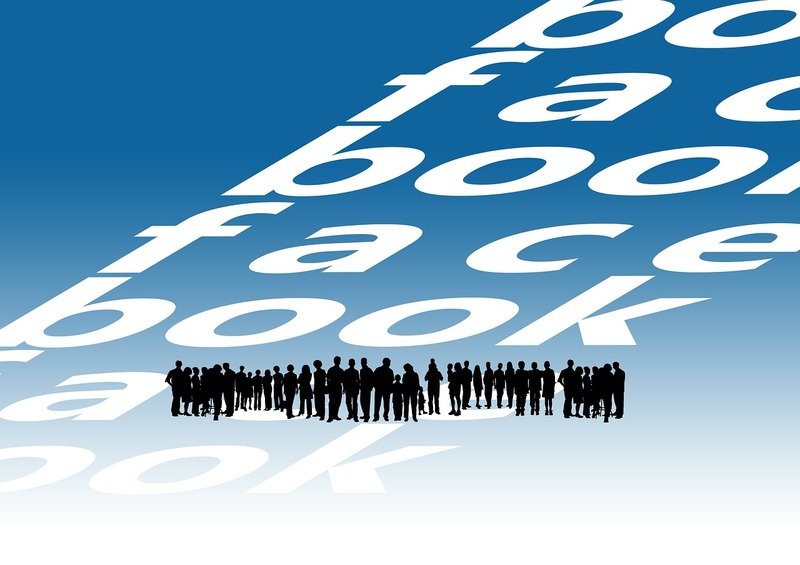 Facebook will provide data to outsiders about certain data types like birthdays. However, information about users’ friends is mostly not available. Some developers have expressed complaints about the process for requesting user data as well as results of “unexpected outcomes”. The dating site Tinder asked Facebook about the new data policy shortly after it was announced because they were concerned that limiting data about relationships would impact their business. A compromise was eventually obtained but limited this site only to access to “photos and names of mutual friends”. An app called Jobs With Friends that connected job searchers with similar interests met a similar fate. Social psychologist Benjamin Crosier was in the process of creating an app searching for connections “between social media activity and ills like drug addiction”. He is currently trying to save this project by requesting eight data types from Facebook. Other companies are trying an alternative strategy to build their own social networks. For example, Yesgraph Inc. employs predictive analytics³ methodology to assist clients who run social apps in finding new users by data-mining, with the user base’s permission, through lists of email addresses and phone contacts. What are the best practices and policies for social networks to use to optimally balance the interests of data-dependent third parties and users’ privacy concerns? Do they vary from network to network or are they more likely applicable to all or most of them? Are most social network users fully or even partially concerned about the privacy and safety of their personal data? If so, what practical steps can they take to protect themselves from unwanted access and usage of it? For any given data-driven business, what is the threshold for over-reliance on a particular data supplier? How and when should their roster of data suppliers be further diversified in order to protect themselves from disruptions to their operations if one or more of them change their access policies? 1. Speaking of interesting data, on Monday, August 24, 2015, for the first time ever in the history of the web, one billion users logged onto the same site, Facebook. For the details, see One Out of Every 7 People on Earth Used Facebook on Monday, by Alexei Oreskovic, posted on BusinessInsider.com on August 27, 2015. 2. See the comprehensive report entitled A More Perfect Union by Sasha Issenberg in the December 2012 issue of MIT’s Technology Review about how this campaign made highly effective use of its data and social networks apps and data analytics in their winning 2012 re-election campaign. 3. These seven Subway Fold posts cover predictive analytics applications in range of different fields. Cutting across five fundamental demographic segments, Twitter and Facebook are now the primary sources for news among the US population. This was the central finding of a new report issued on July 14, 2015 by the Pew Research Center for Journalism and Media entitled News Use on Facebook and Twitter Is on the Rise by Michael Barthel, Elisa Shearer, Jeffrey Gottfried and Amy Mitchell. The full text and supporting graphics appear in an 18-page PDF file on the Pew website is entitled The Evolving Role of News on Twitter and Facebook. I highly recommended clicking through to read the full report. A number of concise summaries of it quickly appeared online. I found the one written by Joseph Lichtman on NeimanLab.com (a site about Internet journalism at Harvard University), entitled New Pew Data: More Americans are Getting News on Facebook and Twitter, also on July 14th to be an informative briefing on it. I will, well, try to sum up this summary, add some annotations and pose some questions. First, for some initial perspective, on January 21, 2015, a Subway Fold Post entitled The Transformation of News Distribution by Social Media Platforms in 2015, examined how the nature of news media was being dramatically impacted by social media. This new Pew Research Institute report focuses on the changing demographics of Facebook and Twitter users for news consumption. This new study found that 63% of both Twitter and Facebook users are now getting their news from these leading social media platforms. As compared to a similar Pew survey in 2013, this is a 52% increase for Twitter and a 47% increase for Facebook. Of those following a live news event as it occurs, the split is more pronounced as 59% of Twitter users and 31% of Facebook users are engaged in viewing such coverage. According to Amy Mitchell, one of the report’s authors and Pew’s Director of Journalism Research, each social media site “adapt to their role” and provide “unique features”. As well, they ways in which US users connect in different ways “have implications” for how they “learn about their world” and partake in their democracy. In order enhance their growing commitment to live coverage, both sites have recently rolled out innovative new services. Twitter has a full-featured multimedia app called Project Lightening to facilitate following news in real-time. Facebook is likewise expanding its news operations with their recent announced of the launch of Instant Articles, a rapid news co-publishing app in cooperation with nine of the world’s leading news organizations. Sources of News: 10% get their news on Twitter while 41% get their news on Facebook, with an overlap of 8% using both. This is also due to the fact that Facebook has a much larger user base than Twitter. Furthermore, while the total US user bases of both platforms currently remains steady, the percentages of those users therein seeking news on both is itself increasing. Comparative Trends in Five Key Demographics: The very enlightening chart at the bottom of Page 2 of the report breaks down Twitter’s and Facebook’s percentages and percentage increases between 2013 and 2015 for gender, race, age, education level, and incomes. Relative Importance of Platforms: These results are further qualified in that those surveyed reported that Americans still see both of these platforms overall as “secondary news sources” and “not a very important way” to stay current. Age Groups: When age levels were added, this changes to nearly 50% of those between 18 and 35 years finding Twitter and Facebook to be “the most important” sources of news. Moving on to those over 35 years, the numbers declined to 34% of Facebook users and 31% of Twitter users responding that these platforms were among the “most important” news sources. Content Types Sought and Engaged: Facebook users were more likely to click on political content than Twitter users to the extent of 32% to 25%, respectively. The revealing charts in the middle of Page 3 demonstrate that Twitter users see and pursue a wider variety of 11 key news topics. As well, the percentage tallies of gender differences by topic and by platform are also presented. Might Twitter and Facebook benefit from additional cooperative ventures to further expand their comprehensiveness, target demographics, and enhanced data analytics for news categories by exploring additional projects with other organizations. For instance, and among many other possibilities, there are Dataminr who track and parse the entirety of the Twitterverse in real-time (as previously covered in these three Subway Fold posts); Quid who is tracking massive amount of online news (as previously covered in this Subway Fold post); and GDELT which is translating online news in real-time in 65 languages (as previously covered in this Subway Fold post). What additional demographic categories would be helpful in future studies by Pew and other researchers as this market and its supporting technologies, particularly in an increasingly social and mobile web world, continue to evolve so quickly? For example, how might different online access speeds affect the distribution and audience segmentation of news distributed on social platforms? Are these news consumption demographics limited only to Twitter and Facebook? For example, LinkedIn has gone to great lengths in the past few years to upgrade its content offerings. How might the results have differed if the Pew questionnaire had included LinkedIn and possibly others like Instagram? How can this Pew study be used to improve the effectiveness of marketing and business development for news organizations for their sponsors, content strategist for their clients, and internal and external SEO professionals for their organizations? Does Being on Law Review or Effective Blogging and Networking Provide Law Students with Better Employment Prospects? Oceans of ink and an unlimited quantum of bits have been expended in the past several years reporting, analyzing and commenting upon the fundamental changes to the legal profession in the US following the recent Great Recession. Among many other things, there has been a significant drop in the number of applicants to many law schools and a declining number of available jobs law students upon their graduation. This is a very complex situation with no easy answers for the law schools and their students. It is traditional practice at most US law schools for students who finish in the top 10% of their class rankings based upon their grades, to be invited to join the school’s law review. This is always considered to be a significant accomplishment and an academic honor. The member of the law review (also called the “law journal”), write in-depth and heavily annotated legal analyses about developments in the law and concerning specific decisions. Despite the “New Normal” ¹ in today’s legal marketplace, any law student who is on the law review and/or in the top 10% of their class, will find themselves in a buyer’s market for their academic and writing distinctions. Nonetheless, what can – – what we used to be called the “top 90%” when I went to law school – – do to improve their marketability in such a difficult market? They can blog, network and build their online presence according to a most interesting post by attorney, legal marketing expert, and renowned legal blogger Kevin O’Keefe in a post entitled Law Blog More Valuable Than Law Review in Landing Job on November 5, 2014 on his blog Real Lawyers Have Blogs. To briefly recap, he describes how Patrick Ellis (@pmellis), while attending Michigan State University College of Law, used his blog and networking skills to eventually land a job as an associate attorney with a top law firm in Detroit. I highly recommend clicking through and reading O’Keefe’s informative and inspiring story about Mr. Ellis. This post also asserts that such blogging presented opportunities that would have otherwise been foreclosed to Mr. Ellis. Moreover, that the traditional entre afforded by law review as well as moot court participation and “who you know”, have now been surpassed by the effective of using blogs and networking to find jobs in today’s challenging environment. Indeed, as O’Keefe so concisely states “… networking online requires law students to listen, engage, curate and create content with their own point of view.” Bravo and kudos to both O’Keefe for writing about this and Ellis for implementing this innovative legal job search strategy. Law student X is invited for a recruiting interview at the ABC Law Firm. If he is both on law review and has a strong online presence, nowadays which one more likely got him the interview or was it both? Law Student X is on law review while Law Student Y has a terrific blog and network. Will ABC only invite X or Y, or both based on the candidates’ merits? ABC recognizes that they are lagging in their own online presence and marketing skills. Will they invite X and/or Y for interviews and why? Should the interview for X and Y be different and, if so how? Should alternative career paths be developed by ABC for X and Y? Should both tracks be towards eventual partnership consideration? If X and Y are both hired, should Y expressly help Y in building his or her online presence in some form of buddy system? Will X’s and Y’s skills be differently evaluated in performance reviews? How will this possibly affect ABC’s compensation and bonus structure for associates? Finally, I additionally suggestion that law students engaged in a search should consider applying some personal network mapping software to identify the people who are “hubs” and “spokes” in your network. The hubs are those members with the highest degrees of connectedness and might thus turn out to be more helpful resources. (see also The Subway Fold posts on February 5, 2015 about mapping Twitter networks and this one April 10, 2014 on mapping LinkedIn networks.²) A Google search on these applications will produce many possibilities. 1. See this excellent ongoing column of the same name on the ABA Journal’s web site covering a multitude of important topics on this tectonic technological, professional and economics shifts. 2. LinkedIn has recently removed their networking mapping tool. Following up on Kevin O’Keefe’s very informative post discussed above, he published another enlightening blog post squarely on point for this topic entitled Emory Law School Gets Students Blogging Early with Innovative New Class on February 12,, 2015. This spotlights Professor Jennifer Murphy Romig’s new class on legal blogging at Emory University School of Law. I will again briefly summarize, annotate and comment upon Mr. O’Keefe’s interview with her. I highly recommend clicking through and reading it in its entirety for all its details and insights. Besides my own very strong interest and involvement in the efforts of law schools to provide their students with the latest business skills, this immediate got my attention because I am a proud alumnus of Emory Law. Origin: The administration was supportive of the original proposal, looking to expand student’ skills in “public legal writing”, as distinguished from other traditional first year legal writing for client/matter-specific work. The professor had previously launched her own blog called Listen Like a Lawyer that turned into a very positive experience for her to communicate and network within the legal community. As a result, she sought to bring blogging skills to law students for use in the workplace and to “build marketable skills”. Value: During their job searches, law students will, in all sizes of firms, find potential employers with blogs or else those who might be interested in launching one. Thus, if asked to do so, they will then have the skills to write, post offer strategy on blogs. As well, it provides students with a “creative outlet” where they can choose their own topics. Curriculum: This is divided into thirds including 1. The “ethics”, “history” and “methods of blogging”. 2. Studying blog writing to present their “legal analysis” and “voice and style”. As well, they will work in groups to revise a WordPress* theme and explain their changes, and give presentations on other topics involving formatting and content. 3. Creating and critiquing their own WordPress blogs which, at their option, can be used to present their blogging skills to potential employers. Distinguished guests from the world of legal blogging will also be participating. Results: The benefits of effective blogging include improved writing skills in practice and online, as well as the generation of interactivity on other social platforms and personal networking. The trends include introducing students to “different styles” of lawyers’ usage of social media platforms, and providing them with the means to track and adapt to the latest trends in social media. Recommendations: 1. Begin on a small and secure legal blog among a “supportive community”. 2. Use blogging as an “opportunity to be creative” where students can test out formats and functions. 3. Find issues that are important to each blogger to pursue in their writing. I am very grateful to Professor Romig for all of her work in launching this course at Emory Law. I was indeed even more proud of my alma mater after reading about this. Following up and showcasing among students those instances where their blogging has had an impact upon their job searches, legal matters, social movement initiatives, and networking. I would gather these instances and analyses into a report full of embedded inks, to be shared with fellow students and the administration. Perhaps some form of meta-blog where students can post and actively discuss their blogging experiences and techniques. Using the blogging course as a recruiting tool for potential law students. Consider making this an expressed advantage of Emory Law in that the school will provide and enable students with the most modern tools they will need to communicate, market and practice law. Encourage live-blogging of events and presentations at the school in order to open another new media channel to publicize them as well as to refine contemporaneous blogging skills. Again, collecting and archiving these blog posts might be worthwhile on the school’s website. Has Emory Law ever considered holding a legal hackathon? It might also bring in some positive support from the local legal community and be a worthwhile event to live-blog and webcast. * WordPress is the hosting service used for The Subway Fold. Infographics seem to be appearing in a steadily increasing frequency in many online and print publications. Collectively they are an expressive informational phenomenon where art and data science intersect to produce often strikingly original and informative results. In two previous Subway Fold posts concerning new visual perspectives and covering user data about LinkedIn, I highlighted two examples that struck me as being particularly effective in transforming complex data sets into clear and convincing visual displays. A new book entitled Infographics Designers’ Sketchbooks by authors Steven Heller and Rick Landers is being published today, October 14, 2014, by Princeton Architectural Press. An advanced review, including quotes from the authors, was posted on October 7, 2014 entitled A Behind-the-Scenes Look at How Infographics Are Made on Wired.com by Liz Stinson. To quickly recap this article, the book compiles a multitude of resources, sketches, how-to’s, best practices guidelines, and insights from more than 200 designers of infographics. 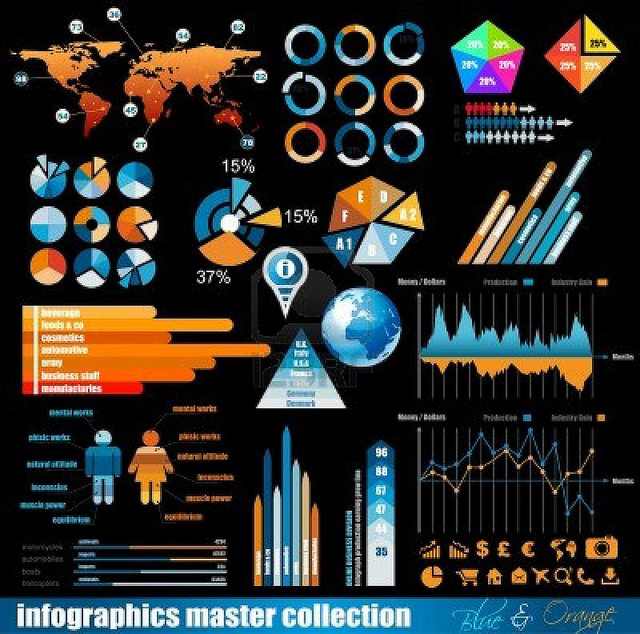 Based upon the writer’s description, there is much value and motivation to be had within these pages to learn and put to good use the aesthetic and explanatory powers of infographics. DailyInfographic.com provides thousands of exceptional examples of infographics, true to its name updated daily, that are valuable for both the information they present and, moreover, the inspiration they provide to consider trying to design and prepare your own for your online and print efforts. This page on Wikipedia provides an excellent exploration of the evolution and effectiveness of infographics. Edward Tufte is considered to be one of the foremost experts in the visual presentation of data and information and I highly recommend checking out his link rich biography and bibliography page on Wikipedia and more of his work and other offerings on his own site edwardtufte.com. Please post any comments here to share examples of infographics that have impressed you or impacted your understanding of particular concepts and information. Consisely Getting to the heart of succeeding with this web-ubiquitous form of visual display of information is a very practical new column by Sarah Quinn entitled What Makes a Great Infographic? , posted on January 28, 2015, on SocialMediaToday.com. I highly recommend clicking through and reading it in full for all of its valuable details. I believe it is a timely addition to anyone’s infographic toolkit. 2. A Compelling Theme: Your infographic depicts “your story’ and must strongly relate with your brand’s identity. The representative sample used in this article is entitled “Food Safety at the Grill” which does an effective job of guiding and educating the reader while simultaneously representing the infographic author’s brand. 3. Actionable Data: This should be thoroughly researched and the numbers threaded throughout the graphical display. In effect, the data should support the solution and/or brand you are presenting. 4. Awesome Graphics: Quite simply, it must be aesthetically pleasing while presenting the message. Indeed, the graphics’ quality will form an effective narrative. If you are outsourcing this, Ms. Quinn provides seven helpful guidelines to help instruct the graphics contractor. 5. Powerful Copy: This is just as important as the display and should include “powerful headlines” is presenting your message. As with the targeted audience in 1. above, so to should the text be compelling enough so that readers will be motivated to share the infographic with others. The who, what, where and when of the news business has been dramatically transformed by the exponential growth of social media. The instantaneous reporting and viral spread of events happening everywhere across the globe is being enabled by the giants of this industry including, among others, Twitter, Facebook, YouTube and Instagram. Moreover, not only are these platforms acquiring and disseminating news at web-speed, they are often shaping the news and, even in some instances, affecting its outcomes. Two very compelling and highly related posts have appeared online within the past five days that provide an opportunity to examine this rapidly evolving phenomenon. In both cases, I very highly recommend clicking through and reading both of these in their entirety. I will recap, annotate and add some questions to these posts to start off this topic. First, is a new report entitled Storytelling in the Age of Social News Consumption, by Steve Rubel, posted on Edelman.com on January 15, 2015. The author is the Chief Content Strategist at Edelman, a leading global public relations company. I also had the opportunity to attend a very informative and insightful panel discussion that Mr. Rubel moderated called State of the Union Breakfast: Living in Times of Media Disruption in New York on October 20, 2014. More than 75% of those surveyed now took their stories’ social sharing potential into consideration. The addition of multimedia, reducing copy length, reporting locally, and “more use of human voice and a proximity to trending topics” are being deployed in efforts to raise social sharing. They also identified the leading current trends as “more mobile friendly content, faster turnaround times, more original video, smaller newsroom staff and social media growing in influence”. Edelman will soon publish a more detailed analysis of their data in order to plot the “genome” of a news story being shared across social media. Until then, their “top line analysis” showed that Facebook is the leading social platform for news sharing, with the greatest sources of shares upon it being The Huffington Post (which also ranked highest for video shares), BuzzFeed, Mashable and PlayBuzz; on Twitter, the leading sources come from the BBC, The New York Times and Mashable; and on LinkedIn they are Forbes, The New York Times and Business Insider. This post then includes a well designed and embedded infographic² clearly delineating the four major trends in Edelman’s study and their conclusions termed “Storytelling Takeaway” for each one. This could be quite helpful to people working in many sectors of news reporting, delivery and strategy. Social media and news-parsing algorithms have created a whole new universe of “intermediaries between the media and their audiences” who are affecting the production and selection of news. 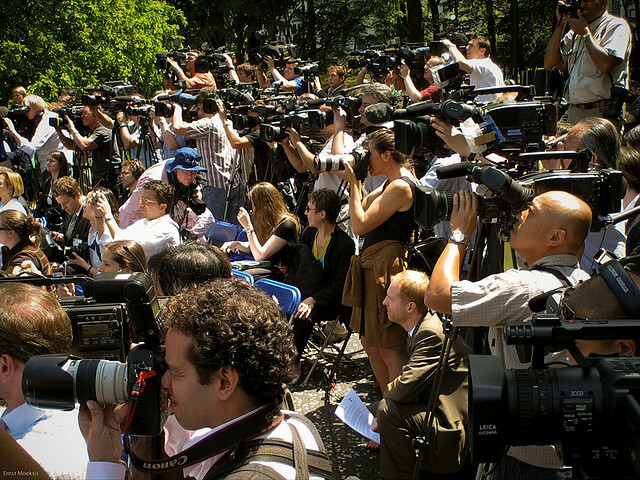 The participants in the news industry must therefore devise and implement strategies that integrate all of these factors to reach their critical goals of being distinguishable and indeed heard at a time of ever-increasing competition for their audience’s attention. The second post that I found to be helpful in trying to understanding the latest developments here is entitled How Much Work the NYT Has to Do on Social Sharing, in One Chart, by Matthew Ingram on Gigaom.com on January 19, 2015. This is Ingram’s follow up to his earlier post on Gigaom.com on January 14, 2015 entitled News Flash for the NYT: You and BuzzFeed Aren’t That Different in which he argued that both media companies were essentially in the same business, despite their differing demographics and content. Moreover, that BuzzFeed was winning in its efforts to understand and leverage social platforms. Both posts cover a number of challenging issues and referring links to other posts about the very nature, value and processes of the social sharing of news stories and related content. Ingram cites and links to a blog post on January 16, 2015 on Medium.com entitled No, BuzzFeed Isn’t “Beating” the New York Times by Simon Owens, rebutting his own conclusions. Owen points to a number of other factors such as content, revenue models and streams, marketing segments, and corporate histories. For him, article sharing data is interesting, but not, in and of itself, positive proof of the two companies being in the same business. Ingram reiterates his opinion that whether visitors are paying for content or not, the understanding social distribution is still important and that the NYTimes.com “needs to step up its game” in this regard. Ingram concludes with another bar chart entitled “Distribution of articles shared” wherein the same eight news sites are measured in regards to the percentages of their articles that are, according to set numerical criteria, either “Unnoticed”, “Popular”, “Undershared”, “Viral” or “Niche”. With regard to “Unnoticed”, the NYTimes data point is approximately 65% while BuzzFeed is approximately 12%. BuzzFeed also has higher percentages of it articles in the “Viral”, “Popular” and “Niche” categories than the NYTimes.com. What refinements, if any, are needed to tweak these analytics in order to better measure and assess the degree and strategic value of a news website’s social sharing? Does a higher level of social sharing necessarily correlate to higher revenues? 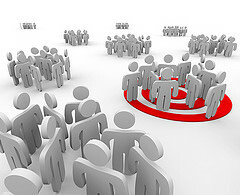 Assuming that a higher level of social sharing exists for Site A, will Site B with a lower level of social sharing still possibly be able to generate more revenue than Site A because its sharing is concentrated among consumers more likely to purchase Site B’s good and services? That is, does each social share for Site B somehow have intrinsically more value that a social share for Site A? 1. 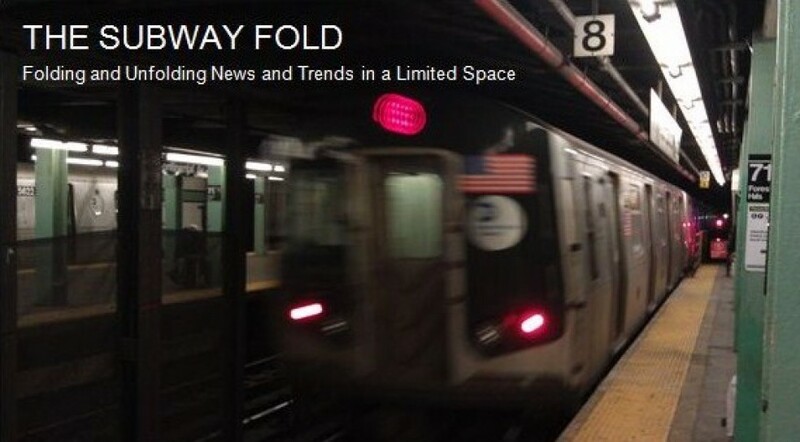 See the October 29, 2014 Subway Fold post entitled 2014 Report on Mobile Technology’s Growth, Diversity and Pervasiveness. 2. See this January 30, 2015 Subway Fold post entitled Timely Resources for Studying and Producing Infographics.